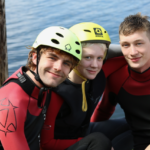 Established in September 2015 Lancashire Youth Challenge exists to provide life enhancing and at times life changing opportunities for young people through well managed and facilitated physical challenges and creative activities. 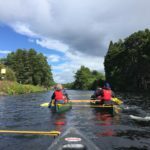 We provide an annual programme of cultural, creative and sports activity for vulnerable and ‘at risk’ young people aged 13-20 years, with each year culminating in a once in a lifetime physically demanding sports and arts based challenge. We are now seeking committed individuals to expand the range of Trustee skills as well as to consolidate our significant existing skills, with a vision of growing and expanding our work. 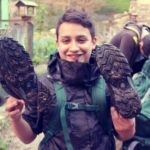 We require dynamic and motivated people who are sympathetic to the aims and objectives of Lancashire Youth Challenge to fulfil these voluntary duties. We expect Trustees to contribute actively to the Board by giving strategic direction; setting policy; defining goals and setting targets; evaluating performance and ensuring financial stability. We want to have a wide range of people on the Board, and seek to be representative of the diverse population of Lancashire. There is no need to have trustee experience to apply; although a commitment to supporting and enabling young people is necessary. On the basis of a recent skills audit, we are looking for people with finance and accountancy skills, legal and human resources experience and those with Marketing and Promotion experience to deepen our expertise in these areas. On receipt of your CV the Board will discuss your application and if applicable invite you to meet the current Board members. Please be aware that Trustee posts will be subject to satisfactory references and DBS certification.